Where do I begin with this one? I simply cannot say enough enough good things about this record, and I could probably ramble on for days so I'm gonna keep it brief lest I bore the crap out of you. 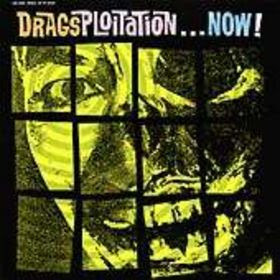 "Dragsploitation...Now!" makes me play guitar. 13 years later I still can't help it. I just have to rock out. This is one of the finest pieces of trash rock ever forced onto wax. It is vicious and feral and I can't imagine my life without it.